Whose music has been featured at EVERY major sporting event in the world including the Super Bowl, World Series, Conference Championships, The NBA, Collegiate Bowl Games National Championship Games, the NASCAR racing circuit and championships, The World Cup, The Indianapolis 500, The Kentucky Derby, EVERY Holiday Parade include the famous Macys Thanksgiving Day parade and the Tournament of Roses Parade, Political Party Conventions, Presidential Campaigns, and nearly EVERY wedding, confirmation, and bar mitzvah in the world? Whose music has been featured on more than 200 motion picture film soundtracks? He has been called the "Founder of the Dance Revolution." 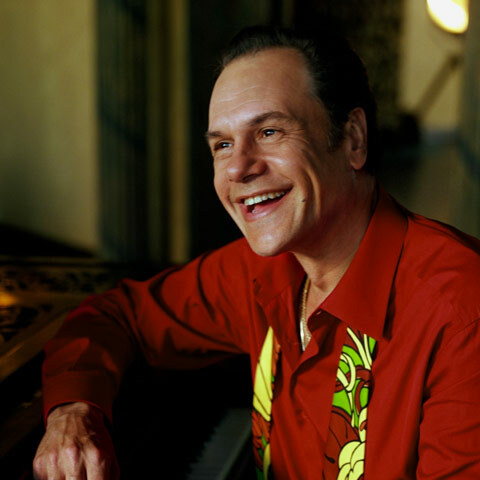 He is Harry Wayne Casey, better known as the founder and leader of KC and The Sunshine Band. Let's "rewind" back to 1973. The price of an average home was $32,500. The price of an average automobile was $2,900. The price of a gallon of gasoline was 40 cents a gallon. The United States was still involved in the Vietnam conflict, Richard Nixon was the target of the Watergate investigation, University Students were protesting and rioting, and there was discontent all over the world with rising unemployment and inflation. People were looking for something that would divert their attention from the negative aspects of everyday life surrounding them. During this time, young Harry Casey did anything and everything that he could do to further his passion for music. He worked at a local record store, opened boxes at Tone Record Distributors and hung around a local recording studio just hoping that somebody would give him a chance to fulfill his biggest dream...to record a record. In 2001, KC was honored with the NARAS Governor’s Award, the highest honor given by a chapter of the Academy. In 2002 KC received the coveted Star on the Hollywood Walk of Fame. KC's music is now being sampled by rappers, and whole new generations of fans have been introduced to his music. Harry Wayne Casey, a true icon of so many generations, gets people up and dancing, making everyone happy. His place at the top in the music world is secure and that is as it should be. KC and the Sunshine Band have been entertaining audiences around the world for over 37 years, and have sold in excess of 100 million records and "That's The Way They Like It" uh-huh uh-huh!